Linda Knoll is an illustrator and painter native to the Modesto area. She earned a BFA in graphic design in 1985, working in that career for over 20 years. She earned a teaching credential and started teaching in 2003 as a library media teacher, then as an art teacher. 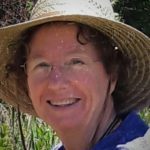 She loves to share her picture books, Over in the Valley and Patient for Pumpkins along with lessons in drawing and watercolor painting while integrating subjects about the Valley region, including its animals, habitats and agriculture. Linda is also the coordinator of the CLASS program and can be reached at class.ccaa@gmail.com. Susan Rossmann is a native of Modesto and paints plein-air landscapes and still-life from the garden with watercolor and oils. She believes introducing art and artists of all cultures and styles opens a window to the world for young children. Susan’s Modern Masters and Round the World Themed lessons focus on the elements of art and painting techniques. 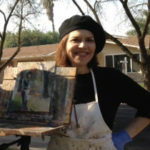 Susan attended MJC and holds a BFA in painting from San Jose State University. Chelsea America is an artist working primarily in watercolor, specializing in portraits and figures. In her classes she guides students to find their unique voices and styles, while providing education in art history, color theory and an exploration of different mediums. Chelsea is a graduate of the San Francisco Art Institute with a BFA in New Genres. Emily Seeman is a painter and a teaching artist. Her artistic emphasis is abstraction, combining oils, charcoal, chalk and lead pencil. 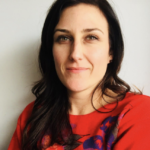 As a teaching artist, Emily guides her students into exploring new art materials and artists while maintaining a nurturing environment for student expression. Lessons often incorporate other academic subjects like science, poetry or history, to give each lesson greater meaning. Emily graduated from San Jose State University with a BFA and a minor in Art History. Her education includes studying abroad in Florence, Italy. Marjory Hernandez has an appreciation for all forms of art. She loves giving children the opportunity to explore the materials, processes, and history of art. She loves inspiring students to discover they can draw, paint, dream, and create! When she is away from the classroom Marjory enjoys the detail in creating functional objects. The texture, weight, and movement in garments and pottery are what she finds most interesting. She also teaches ballet and offers a class that integrates dance movement and painting. Pam Molina works in oils, paper collage and sculpture. 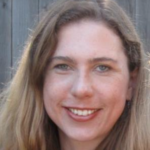 She earned a BFA at UCLA and BA in education from Ottawa University. 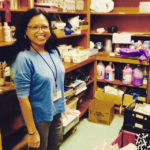 Since retiring from a 15 year elementary teaching career, she has been working as a teaching artist. Pam’s art is in private collections in Arizona and California. Susan Kelleher is a ceramic artist, originally from the bay area, currently residing in Sonora. She travels to Modesto to teach classes and inspire students with her whimsical sculpture. She also is a floral designer specializing in weddings and celebrations, among other talents. 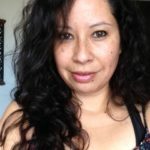 Tania Velez has worked as a classroom aid and substitute teacher, and is graduated with an AA degree from Modesto Jr. College, majoring in studio art. Tania specializes in sculpture and 3-dimensional works. 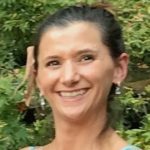 Jamie Hedstrom is an artist and educator living and working in Modesto, California. She specializes in observational drawing, conceptual photography and is particularly fond of abstract expressionism. She is a lifelong learner who is always expanding her knowledge of art and art history and enjoys sharing this passion in her classes. Xavier Cisneros was born and raised in Modesto, California, and has been drawing and painting since the age of seven. After graduating high school, he followed his passion for art and attended the Academy of Art University in San Francisco, earning a BFA in illustration. Though he works in both illustration and fine art, his current work is oil painting. 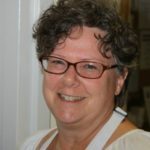 With a Master’s Degree in art education, Cheryl Brown has taught from pre-school through college students for over 20 years. It is important to her that students and teachers realize that there is much more to art than the production of a project. Drawing on all the senses needed to create art causes brain stimulation and growth, develops critical thinking, observation, and results in cognitive development. In addition, fun art history lessons can bring in cultural appreciation. Bernadette Burns loves to create art projects that she can share with a variety of ages from children to adults. She finds ways to “upcycle” objects into art creations such as 3D sculpture from nylons, wood and wire or using plastic containers for weaving. Her first love is gourd art which combines wood burning, painting and carving. Rosemarie Sturgill is an artist skilled in many mediums and is experienced teaching Kindergarten through high school. She has a BA in Studio Art from the University of Maryland and a Single Subject Credential in Art. Projects she enjoys include lessons designed to teach visual art skills as well as to complement academic curriculum. Projects can be created individually as well as together as a class. Karina Jauregui is a first-generation American artist and Central Valley native. Though Karina participates in many forms of art, she specializes in ceramics. Her work is colorful and bold, reflecting her Latin culture, and inspired by organic occurrences in nature. She is fueled by the belief that students can and should use art to help them discover and make sense of themselves and the world they live in. She is passionate about unlocking the creative mind that exists in all young children, challenging them to think beyond what they may believe is possible.